Fabulously fruit infused gin giving you a festival of taste sensations. A highly desirable, ‘must have’ purchase which can bring fun and originality to any social occasion. Best served chilled with Tonic Water and ice and compulsory with this beautiful cocktail are friends with laughter and music. The Tipsy Tart has its origins in South Africa, where founder Elizabeth Grinker grew up. 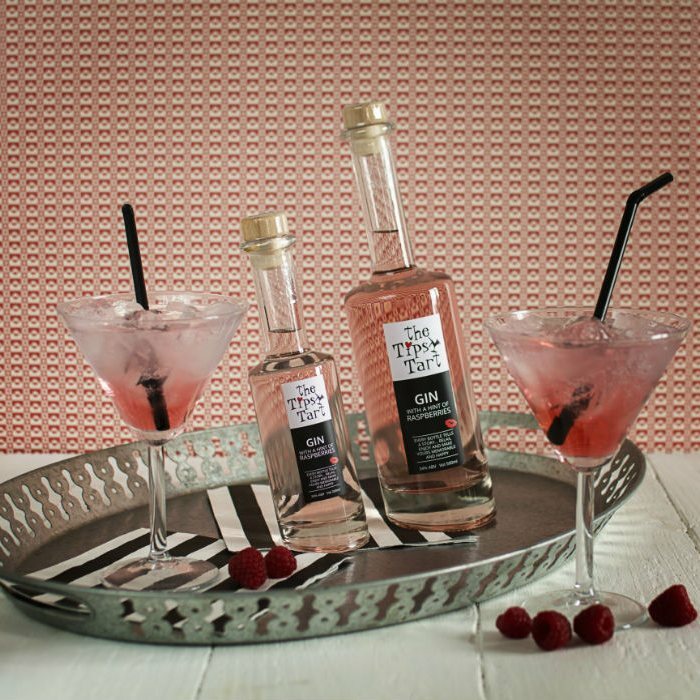 Having received much praise for the liqueurs created for family and friends, Elizabeth realised she had a burgeoning business idea and after lots of research and development, and of course with the support of her family, Tipsy Tart became a reality in 2013. Saw this product and had to taste it. Saw this product and had to taste it. DEEP WARMING AND WONDERFUL! Maybe a tad too sweet for summer, but I cannot wait for winter nights and hot toddies and Tipsy Tart Coffees with cream. A triumph. Oooo strong stuff!! Really lovely and sweet. I can really recommend this, with lots of ice. Funky bottle. Will make a great gift. Only wish it arrived a bit sooner. This is the best Lavender Gin and comes beautifully packaged. Bought as a present for my Daughter, she says it is amazing! Bought as a present for my Daughter, she says it is amazing!! Alcoholic WHITE Chocolate- How could anyone beat that!! Funky and fun award winning liqueurs and cocktails.